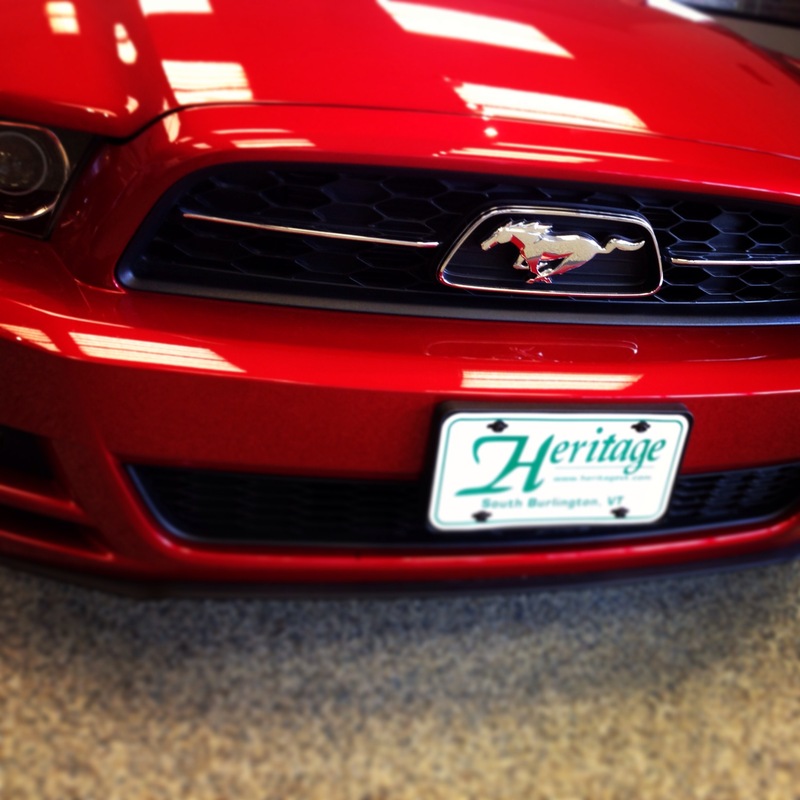 This Ford Mustang is in our Heritage Ford Showroom in South Burlington! 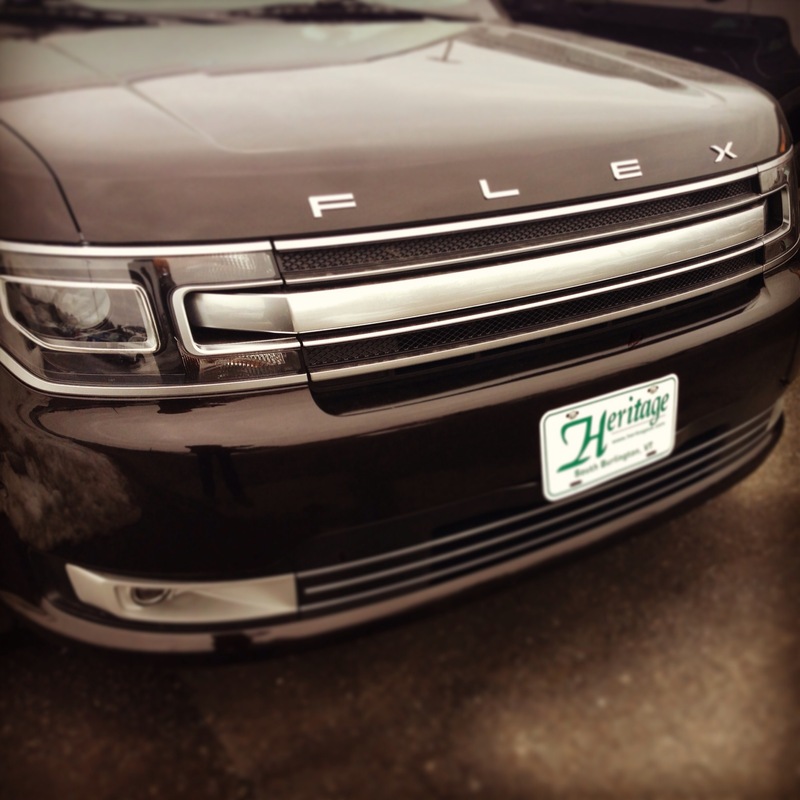 The front grill to the newly designed 2013 Ford Flex – What are your thoughts? Have you seen our newest commercial – Haddidle? It’s just like the game “padiddle,” but instead of vehicles with a headlight out, you say “Haddidle” when you see a vehicle with the name “Heritage” on it! 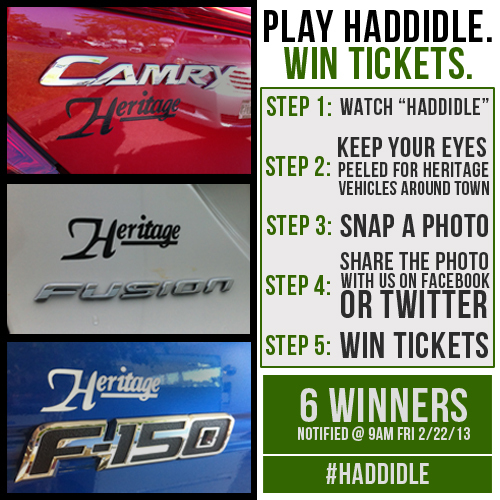 Try your hand at Haddidle next time your in a car – of if you’re walking by a Haddidle vehicle – snap a picture and enter into our contest! 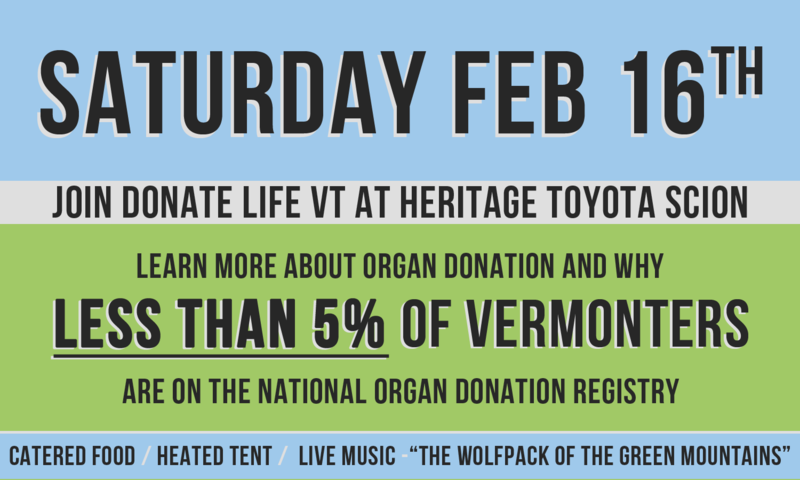 SHARE YOUR PHOTOS WITH US ON FACEBOOK OR TWITTER!! Please do not take photos while driving. If we believe a submitted photo has been taken while the photographer was operating a moving vehicle, it will be disqualified. We Did It! Blog Transfer Complete! After a month of editing and reformatting, our blog is now officially transferred from Tumblr to WordPress! 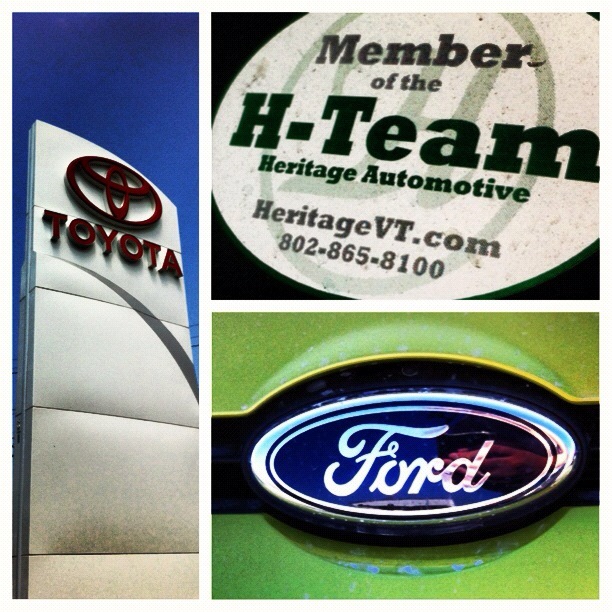 Posted in Dealer Information, Heritage Ford, Heritage Toyota Scion | Comments Off on We Did It! Blog Transfer Complete!